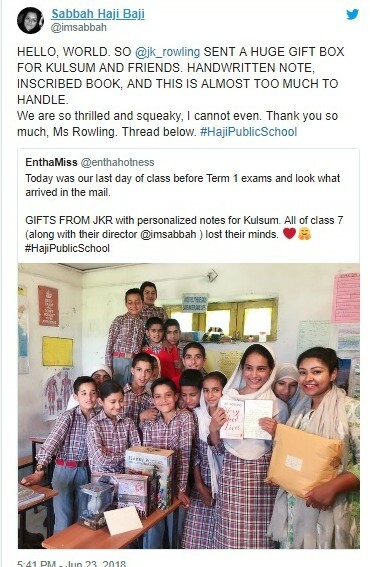 British author JK Rowling who recently surprised her fan by responding to a tweet sent a huge of gifts for the girl and her friends. April 26th, by surprising everyone Rowling responded to a tweet posted by the director of a small public school at Jammu and Kashmir. On 23 June Rowling recently sent to Kusum a handwritten note along with an inscribed book and books for her friends. It was the last day of class before the beginning of exams.